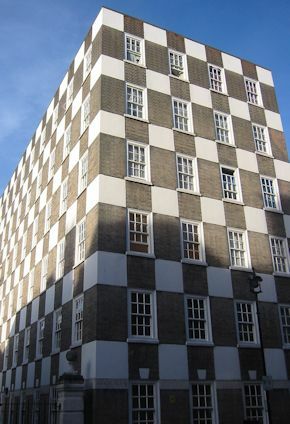 DWLinderman, do you know the architect and building(s) that the Lewis Thomas lab checkerboard references? University of Pennsylvania Library, etc. Note that by October 1965 both Venturi and Scott Brown were no longer teaching or studying at Penn. In fact, in mid-September 1965, Venturi was in Moscow with Paul Rudolph. No lie. Name that Architect and Building!!! DWLinderman, that's what I see as well. Your exact response gave me a big smile. 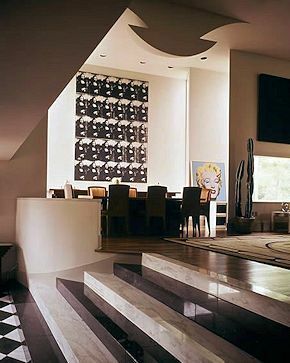 Now I have to look up the name of the Lutyen's house with the black and white stairs like those at the Brant House. DWL, good call on the Tudor checkers. Was that Lutyen's reference even earlier? 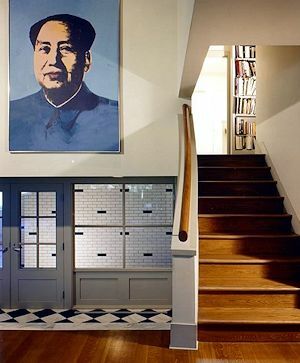 ;-) Yes, Gledstone Hall for the stairs; looked it up in C+C yesterday myself. And here's another reference to Gledstone Hall. 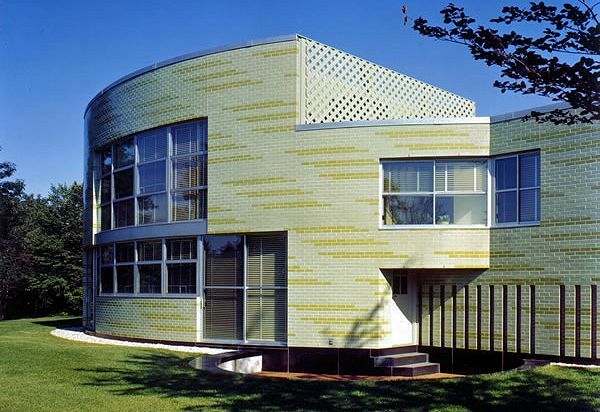 Eisenman, in Ten Canonical Buildings, makes the most of the connection between the (earliest scheme of the) Vanna Venturi House and Hejduk's Texas House (4). What Eisenman does not discuss, however, is the coeval early development of the Vanna Venturi House and the designings of Louis Kahn's Fleisher House and Goldenberg House (all going on in 1959)--indeed the diagonals of the Goldenberg House instantly add a new direction to the development of the Vanna Venturi House. Although Venturi stopped working at Kahn's office in 1957, he was in 1959 instructor and Kahn's assistant at the University of Pennsylvania. 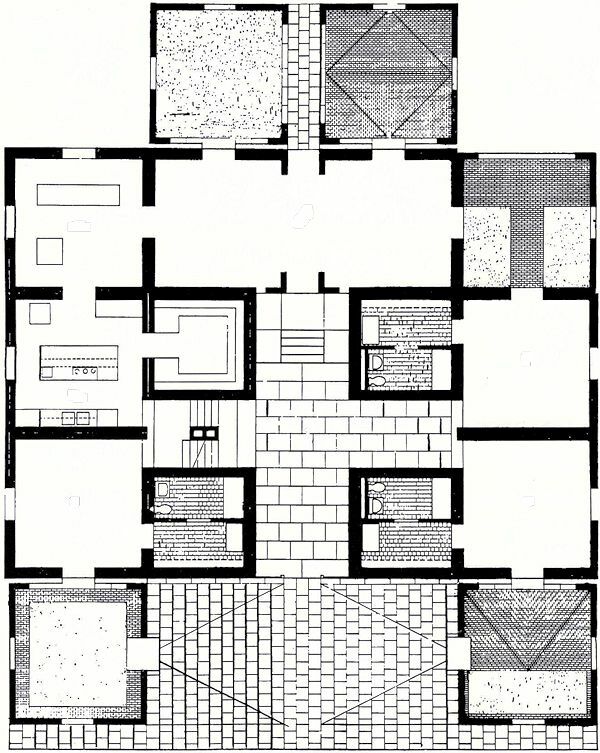 I personally wonder about the influence of Kahn's De Vore House and Adler House (both published in Perspecta 3, 1955) on Hejduk's Texas Houses.